Does your little one eat only one color of food? Does he only eat red foods or beige foods? It is uncommon for kids to only eat one color of food. Generally, kids will avoid a particular color of food; green is usually the avoided color. 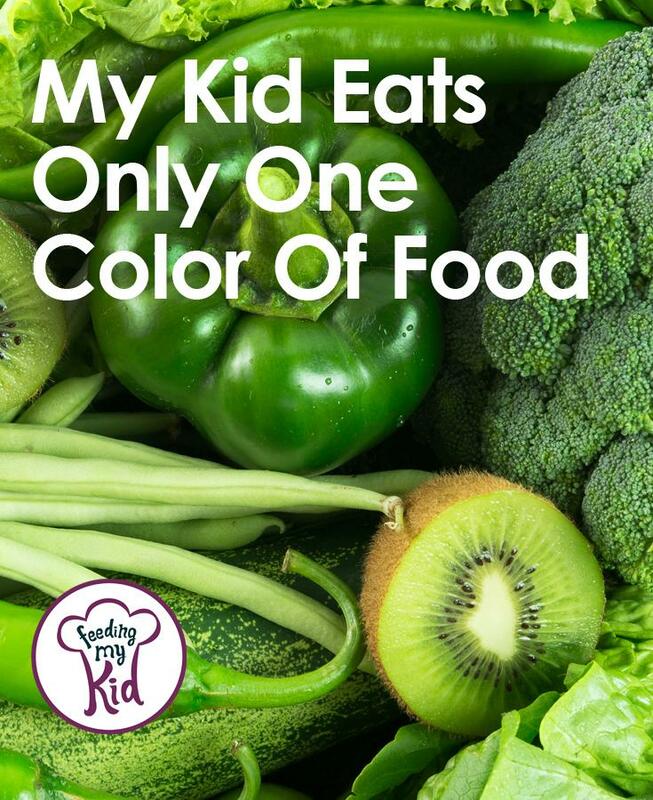 If your child is eating foods from only one color family, please speak with your Pediatrician and see if your child needs occupational therapy to help him through this. Also, check out our resource on occupational therapy: Considering Occupational Therapy for your Child? 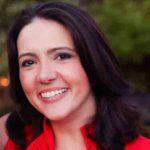 Here, you’ll learn exactly how an occupational therapist can help your child. It’s important to set the right expectations when starting sensory play and food therapy. Food therapy happens over the course of time and in different stages. It’s a win if your child just touches or interacts with a food from a different color category. Treat this as a win for the day, even if it’s minor. The next step is having your child pick up the food and maybe touch the food with their lips. Eventually, you’ll move towards having your child taking a bite, even if he doesn’t swallow it, it’s still a win. Slow and steady wins the race. Provide a small plastic container with a (push on-pull off) lid for your toddler to put small pieces of food into the container and attempt to put the lid on. Or you can put the food into the container, push on the lid and shake the container to entice your toddler to open it up (usually, toddlers love to play with containers). Encourage your toddler to “help” you prepare meals like providing them hand-over-hand assistance to use a spoon or spatula to mix ingredients of different colors; rinse fruits and vegetables in a bowl of water; and have your child place pieces of vegetables into a bowl to make a salad. Cook pasta and then split the pasta into equal amounts and put food coloring in ziplock bags to create a variety of colored pasta. You can have them play with the colored pasta to get used to engaging with different colors. See instructions on how to use the food coloring to make the rainbow colored pasta. Also, check out Kool-aid dyed pasta. Keep doing different sensory activities such as: Create a drinking straw sensory tub. Here are instructions on how to do it. Encourage your child to use their fingers to explore the food, as once they get to know the properties of the food with their fingers, they feel more confident putting the food into their mouth. Imagine if you don’t like the way a food feels when you touch it, are you going to want to put it into your mouth? Probably not. The same is true, especially for children. It can take several to many exposures of a food before your toddler is ready to put it into their mouth. You can help expose them to foods by using a topping bar. So, frequently expose your child to new foods, encourage them to explore the new food and have fun with it, and then encourage them to try eating it. Pretend different colored food pieces are cars, trains, animals, or family members and encourage your child to have them kiss. For example, a carrot stick may be a Mommy and a celery stick may be a Daddy. You can demonstrate to your toddler how a Mommy carrot stick and a Daddy celery stick can kiss by quickly touching the two vegetables together while you make a kissing sound; you can then show your toddler that s/he can kiss a Mommy carrot stick and a Daddy celery stick by quickly bringing them to your mouth and kiss them. Make mealtimes as fun and lighthearted as possible. Be silly and pretend to be a doggy and take a small bite of the food from the plate on the table and encourage them to do the same. Let them enjoy the imaginative play. Encourage your child to take turns feeding each other, i.e. your child feeds you a small bite and then you feed your child a small bite, and so on. Offer to your child a selection of new and fun utensils (cocktail forks and spoons, straws, plastic forks and spoons, etc.) to use to when eating. For toddlers who eat only one color, introduce new foods of the same color. If your child eats only beige foods like crackers, cookies, chicken nuggets, french fries, etc., introduce him to mashed potatoes, cubed potatoes, fish sticks, rutabaga, etc. After many exposures and playing with these foods, encourage your child to taste these foods, if he hasn’t already. Many of the families I work with are exhausted and discouraged that their child has a limited diet. Some kids may outgrow only eating one particular color of food and others may develop a life-long dislike of particular foods. It’s important to put in the work to correct this, as it may only get harder and harder to work on as your child gets older. I hear from so many parents that they do not want mealtimes to be a battle. You are not alone. Many of you just want your child to overcome his feeding difficulties so that mealtimes can be an enjoyable social experience. Overcoming food texture is another challenge. Your child might have to overcome both issues with food color and texture. Has your little one had to overcome eating issues surrounding colored foods? Does your child only eat one color food? Find out why!